Most of us are familiar with Winnie the Pooh’s playful antics in his search for his favorite food, honey. He romps around the Hundred Acre Woods with his friends, running from the bees he disturbs as he takes the fruit of their labor. While we see Winnie as a loveable character, beekeepers are not so fond of bears. While bears do not hunt exclusively for honey, as we see in cartoons, they feed off of the protein-rich bee brood, or baby bees. Their fur and skin is so thick that bee stings are harmless against them anywhere except their face. Bears come in the night and destroy hives in search of food. Recently, there has been an increase in bear populations throughout the United States. That, in addition to more urban sprawl forcing bears out of their natural habitats, makes bears closer to hives kept by people. 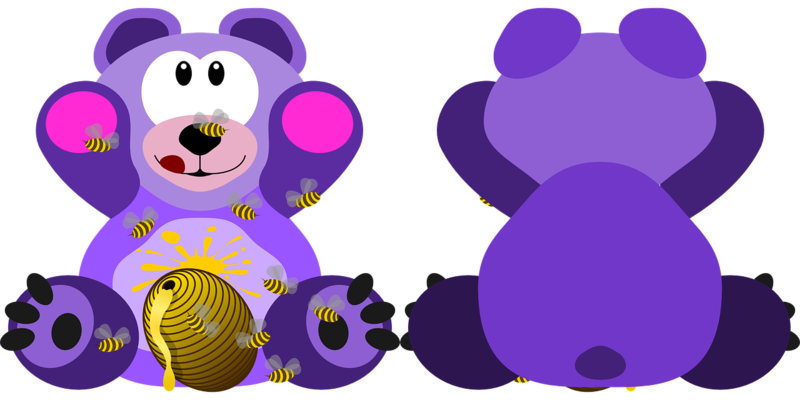 Once a bear finds a hive that it can get food from, it will keep coming back to the same spot for more. Beekeepers have come up with several different ways to deter bear pests. Some states have opened up a hunting season for bears to control the growing population. Some people use electric fences or barbed wire to deter bears from the area where their hives are. If a fence is too expensive or too difficult to put up, beekeepers will strap down their hives to keep the bears from pulling them apart. The growth of North American bear populations is generally good news, but it does make beekeeping difficult. Like other pests, however, it is manageable. With a little adaptivity, beekeepers in areas where there are bears have made successful hives. This year’s Philadelphia Honey Festival will be taking place September 7-9 at Glen Foerd on the Delaware (Sept. 7), Wyck House (Sept. 8), and Bartram’s Garden (Sept. 9). See you there! Sally Schwab has been coming to Bartram’s Garden to participate in programs and volunteering since 2012. This summer, Sally has been working as an intern through the Philadelphia Youth Network. « Do Wasps Make Honey?